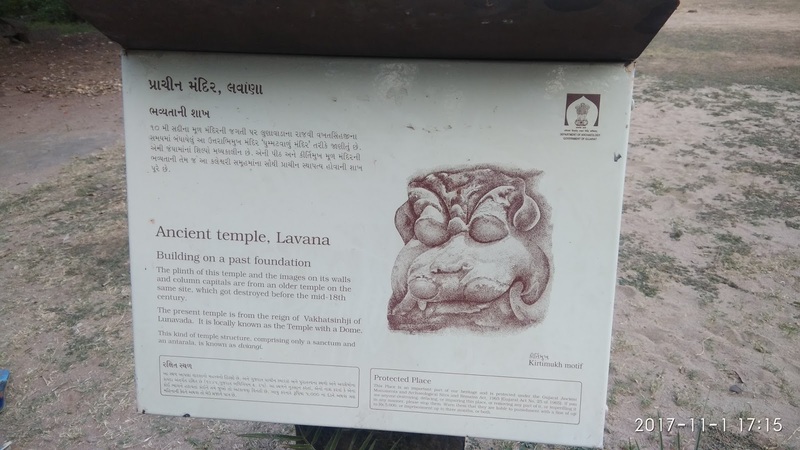 Kaleshwari is an ancient temple located just 22 KM in Lunavada city in Lavana village of Panchamahal district Gujarat India.The temple is historical.Peaceful and like forest area of this place.Here is some fact of Kaleshwari Historical Temple in Lavana village. How to reach by rail :The Nearest Railway station is Godhara station which is 34 km here. 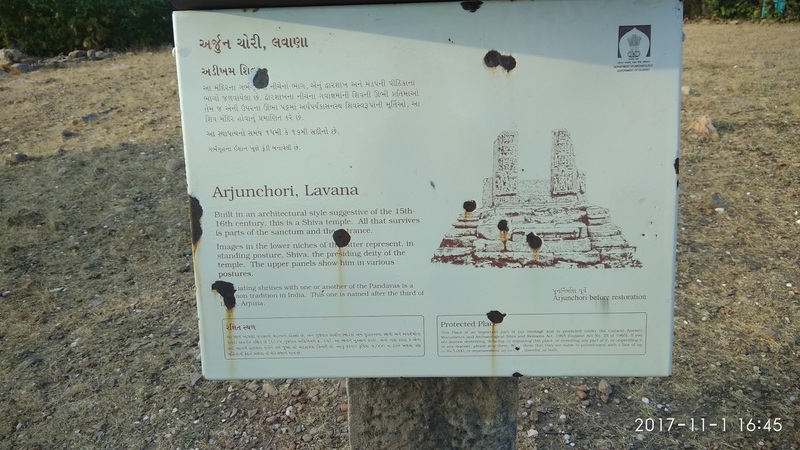 There is a ancient place named with kaleshwari which is situated in Lavana village in Panchamahal District Gujarat.The temple was built in about 10 to 11th centenary and built by Pandavas.The temple was dedicated to Goddess Kaleshwari.There are full of grove, hills, and vellies around the kaleshwari and much attractions are kund , Mother in law’s and Daughter in law’s step well, shikarmadhi, Bhimchori, ancient Temple, arjuna chori, all these are the architectures of the mahabharat era. 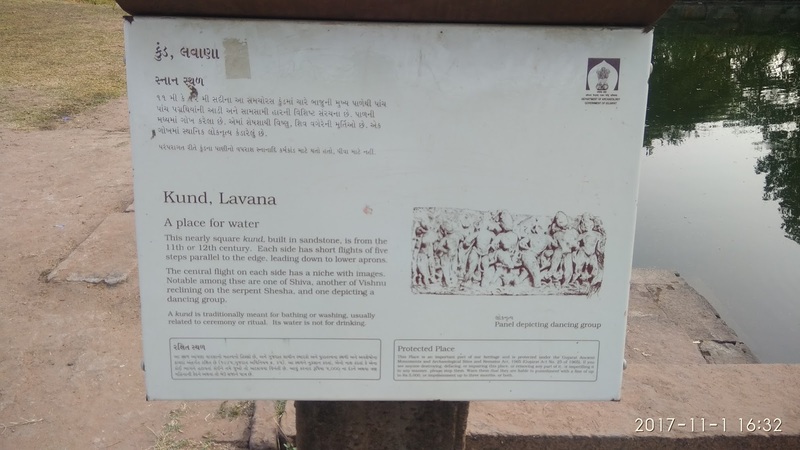 There are step wells named with mother in law and daughter in law is the type of Nanda vastushastra. 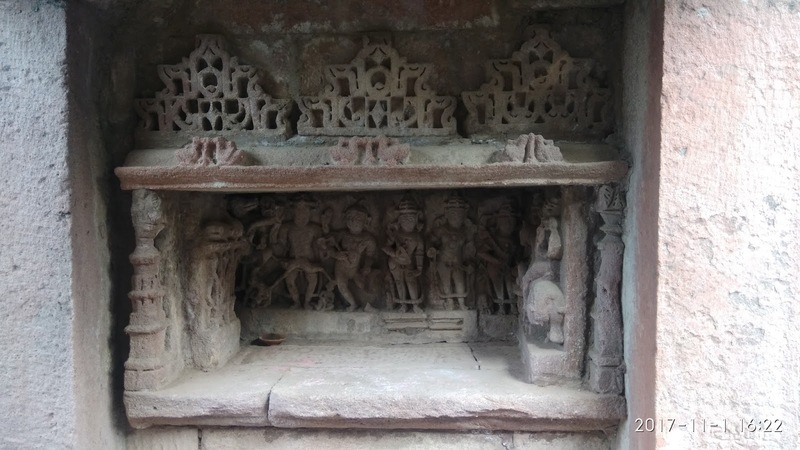 There are images of Lord Vishnu and vaishnavi in the mother in law’s step well and there is a temple of Kaleshwari in form of kevu mandap. 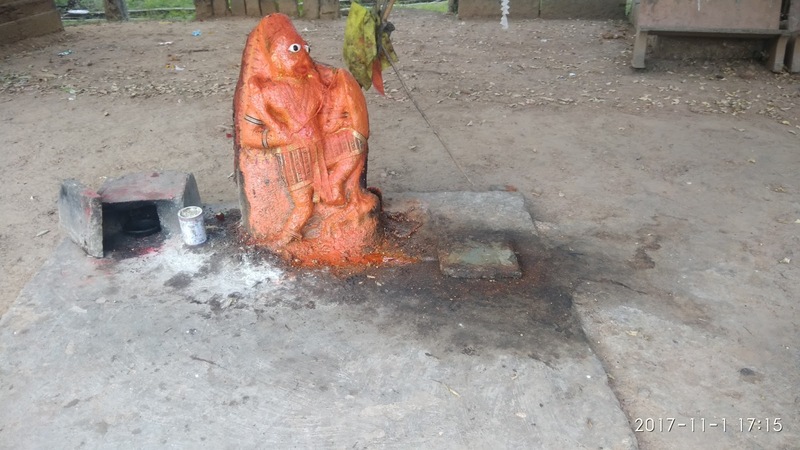 There is a image of nataraj in the kaleshwari temple, People worshiped this image as Kaleshwari maa. 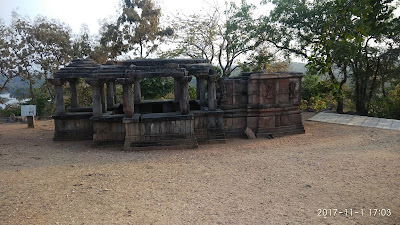 In 1547 the king of Lunawada state restructured this temple. 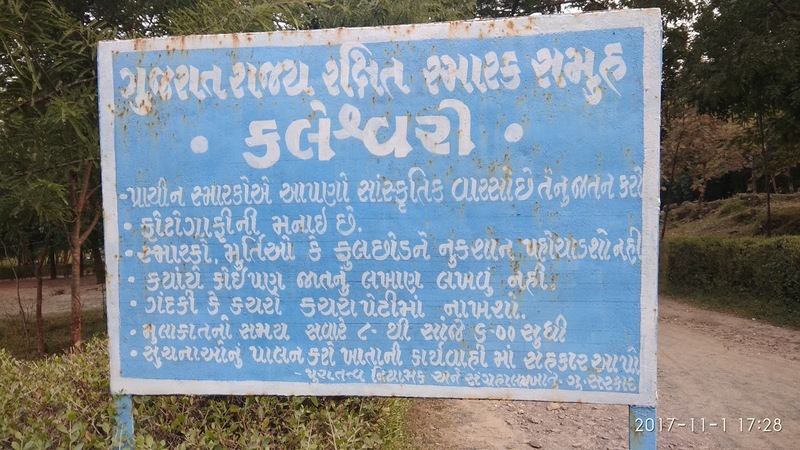 During the time of 1735 to 1757 another king Vakhatsinhji also restructured this temple. In this group of architectures the square kund shows special construction of ancient era. There are steps in the kund to reach the water. 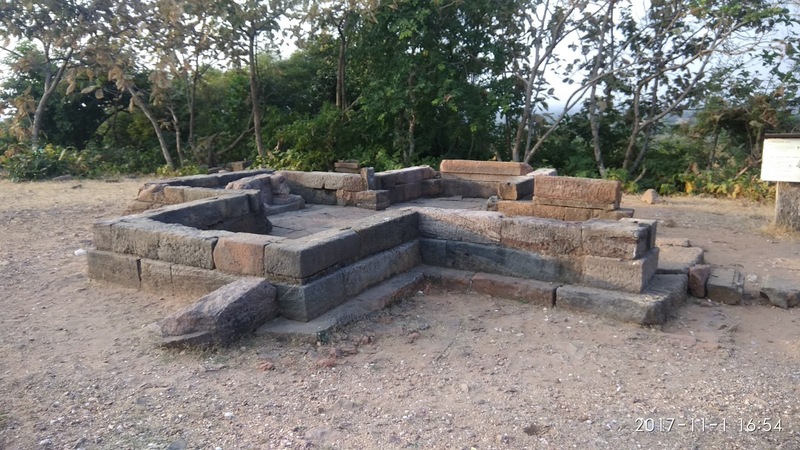 There is a Shikarmadhi (A room made to rest when king came here for hunting) made by king of Lunawada state (Lunawada was considered as State in early). 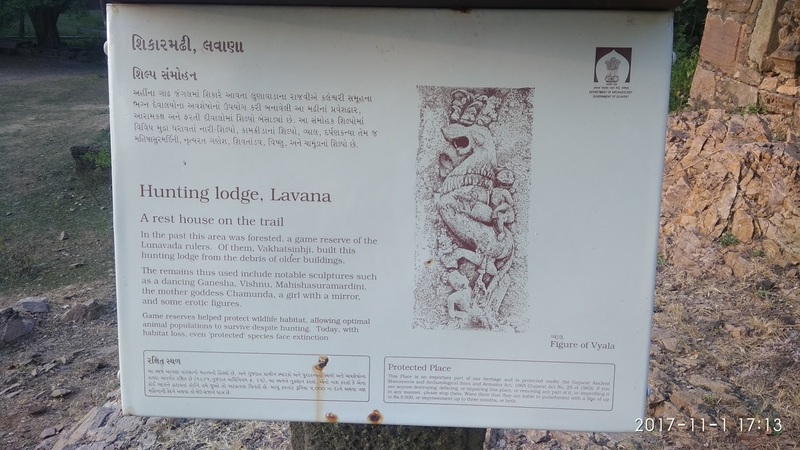 There are architectures of dancing ganesha, Mahish mardini, Vishnu, chamunda and darpan kanya on the walls of shikarmadhi. Towards the east side from shikarmadhi, there is a Bhimchori, Arjun chori, and a tepmle with three entrance doors on the high hill. There are 230 steps to go there. 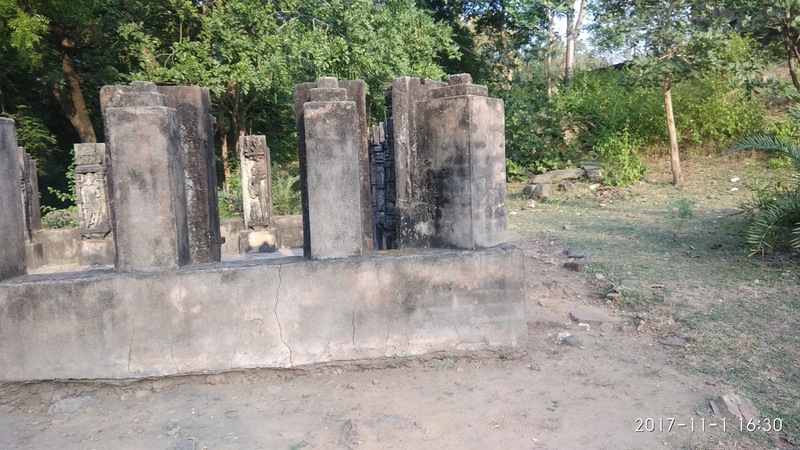 According to architectures, the shiva temple known as bhim chori made in 14th or 15th century. Near to this bhim chori, there is a beautiful temple with Sanctuary known as Arjun chori. 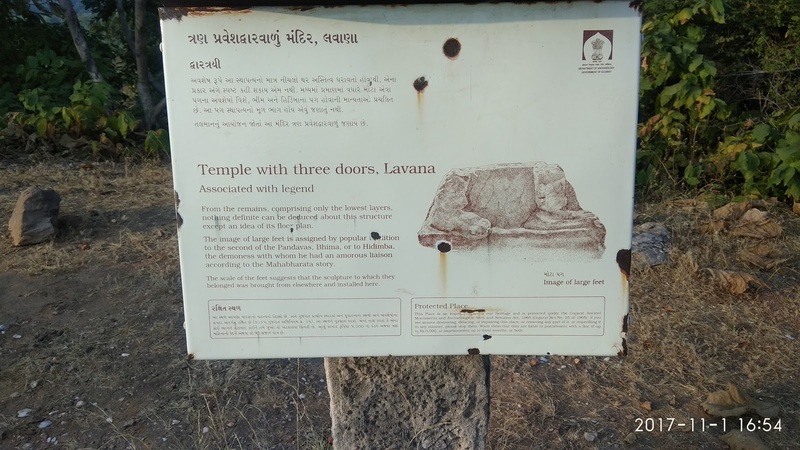 On a little distance from these two tample, there is one more temple with open entrance, where there seems two big foot Residue. 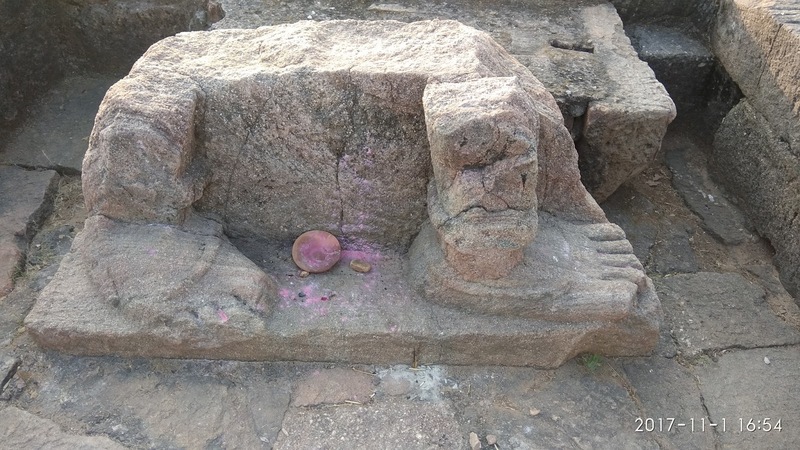 People known it as the feet of Bhim and Hidimba. There are residues of nataraj, ghantakarni, indra, yam, varuna and apsara in the form of sculptures.